Effective accident investigation is a key measure in improving your company safety and/or risk management system. CMSE Consultancy is a leading provider of accident investigation services to many clients and government agencies nationwide. CMSE Consultancy works with the HSA, Clients, Insurance companies and others in providing third party independent accident investigation where a serious accident or incident has occurred. Our accident investigation team will provide you with a comprehensive report of our findings following our investigation. CMSE Consultancy have been involved in both civil and criminal cases over many years. We have worked for both the plaintiff and for the defendant. If CMSE Consultancy are appointed to investigate your accident or incident we will apply our tried and tested methodology ensuring that you will learn valuable lessons for the investigation thereby preventing a recurrence of similar events and saving your organisation from avoidable costs in the future. Step 1: The accurate identification of the root cause and contributory factors of any accident is key to the whole process. It is very easy to go wrong at this stage of the investigation, and this error can be fatal. CMSE Consultancy experts will guide you through this process in an independent non-judgemental way. Step 2: The identification of practical and effective control measures that will prevent a recurrence of the event in the future. These measures will, if correct, effectively prevent future loss to your organisation whether it is human loss (fatalities or injuries) or financial loss (damage to equipment or raw material or product, etc). The correct implementation of practical corrective measures will ensure the company makes great savings in the future in terms of human and financial costs. Under the Safety, Health and Welfare at Work Act 2005, employers have a general duty to report prescribed accidents and dangerous occurences to the Health and Safety Authority. 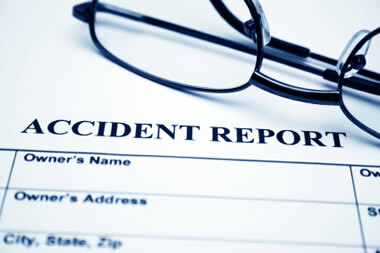 Accident and Incident investigation is a reactive management tool to ensure that once an accident or incident has occured that lessons are learnt, the underlying causes both technical and organisational are identified and corrective action is taken to prevent recurrence.